Mongolian and Tibetan Affairs Commission Minister Lin Mei-chu’s (林美珠) appointment as minister of labor drew a mixed reaction from labor rights advocates yesterday, with calls for her to show independence as the government moves forward with pension reform. 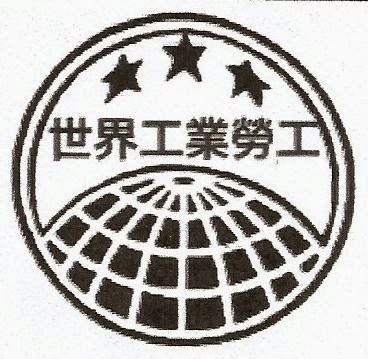 “While I certainly would not say that she has been promoted or gained unfair advancement because she is President Tsai Ing-wen’s (蔡英文) cousin, I am concerned with whether she would side with workers against presidential directives,” Taipei City Confederation of Trade Unions executive director Chen Shu-lun (陳淑綸) said. While Lin is a career bureaucrat who served as deputy minister of the interior in former president Chen Shui-bian’s (陳水扁) administration, that she is Tsai’s cousin has led to speculation that she will be closer to the president than a typical labor minister. “In protecting workers’ interests, the labor minister often has to engage in a tug of war with the business community and the Ministry of Economic Affairs, so always standing with the president could create problems,“ Chen said, adding that Lin’s response to the government’s proposed cuts to labor pensions would be a key challenge. “She is immediately going to run into the issue of pension reform — which is extremely vast and complex, and that makes it extremely worrying that she has been selected to take over the ministry, because she does not have any related background,” she said, adding that while Lin has a legal background, the new minister lacks both knowledge and exposure to labor issues and the technicalities of labor law. “The Ministry of Labor does not lack legal expertise and one of the deputy ministers used to be a lawyer. What the ministry’s leadership does lack is people familiar specifically with labor law who also understand the present situation of workers,” she said, calling for Lin to push back against proposed pension cuts. Rather than cutting benefits, workers should be required to pay more into pension funds, while new corporate taxes should be used to fund a universal basic benefit, she said. Taiwan Confederation of Trade Unions secretary-general Tai Kuo-jung (戴國榮) said that while Lin was a surprising choice, her relationship with Tsai might prove an asset because of her access to the president, potentially making it easier for her to address policy hold-ups. He called for her to focus on raising salaries and increasing job opportunities for young people, as well as addressing the “responsibility system,” “flexible working hours” and other “loopholes” that he said allow employers to avoid overtime regulations.